You probably have seen it all on social media, however, I wanted to share my trip to Paris with TGV Lyria. You know that I am always on the train, traveling from one city to the other, for the blog and personal reason. I love the train, I think it is one of the best ways of transportation. You can work or do whatever you want during the journey, you do not need to drive for hours or spent fuel, don’t worry I am any environmental activist ;). But still, think that trains are the most convenient way to travel especially to Switzerland and to the bordering countries. I am from Lausanne, my friends and family are there, but I study in Lucerne, usually go to events to Zürich and Geneva, and last but not least, Forti lives in Basel. You maybe now can imagine how my weeks and weekends look like. I love visiting Paris and Milan, and I always take the train to go to the capitals. For me, it would make no sense to take the car with all the traffic in big cities or the plane and take hours in order to arrive. Plus, you will directly arrive in the city center. The train is the place where I work for my study, the blog, e-mails and also relax – you need to relax right? It is of course quite tiring but I like it. I admit that during rush hours it is not the most comfortable trip but as long as you have your headphones it is going to be okay, believe me. On a train ride you should always have a bottle of water, not too many luggage otherwise, you will feel under pressure, headphones, maybe a scarf of a sweater if there is AC on, electronic chargers, books or laptop and of course you ticket. 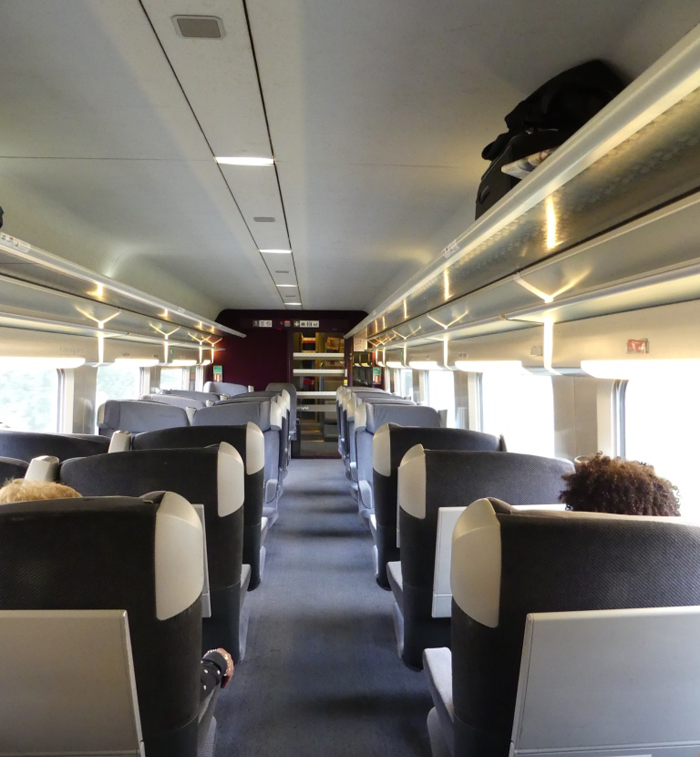 On my way to Paris, we travelled from Bern to Paris Gare de Lyon with TGV Lyria. You probably have taken a TGV to go to Paris if you are from Switzerland. Those trains are so fast, and you are in Paris in a few hours. The train was amazingly comfortable and the service was perfect. We traveled in first class and it was great. I could work for four hours on one of my university’s project. I could focus on my work because the environment allowed me so. A calm atmosphere reigned in the wagon, teas, coffees and snacks were offered and if you wanted to take a nap it was totally possible thanks to the peaceful environment. It was one of the best travel I have ever had.